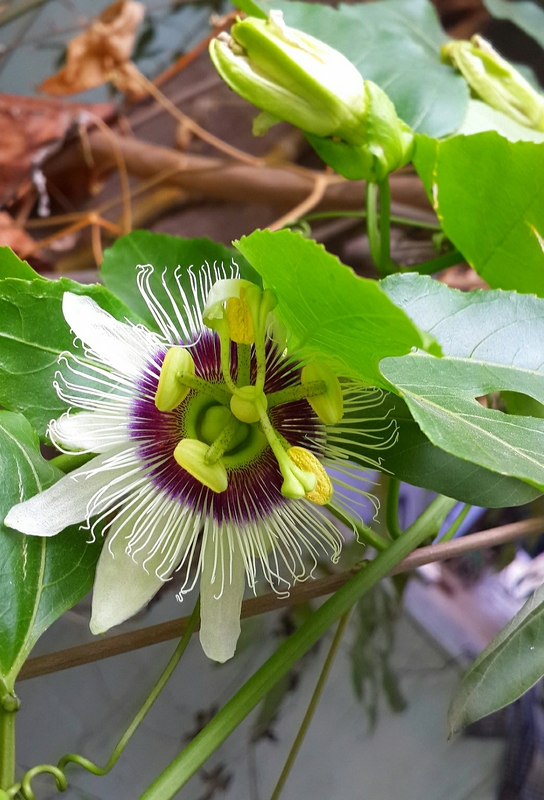 The Passion Fruit Vine in my backyard starred in its own story. 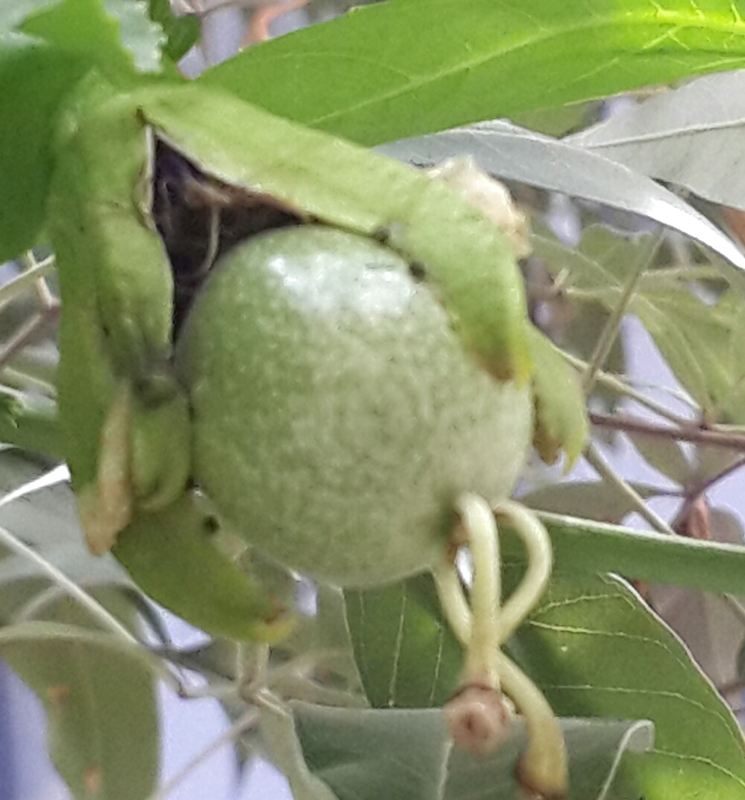 This year, unlike previous ones which gave about 10 fruit, this Vine was planned by Mom to climb up the Coconut Tree, find optimum sunlight and space. It spread like a canopy for over a year until suddenly there were Fruit! Fruit! before we noticed either Buds or Flower! months missed! 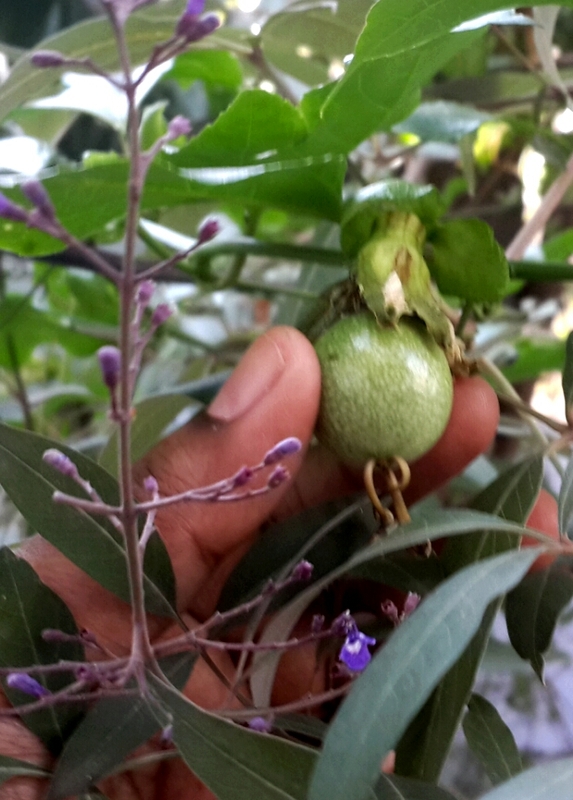 Passion Fruit & buds. 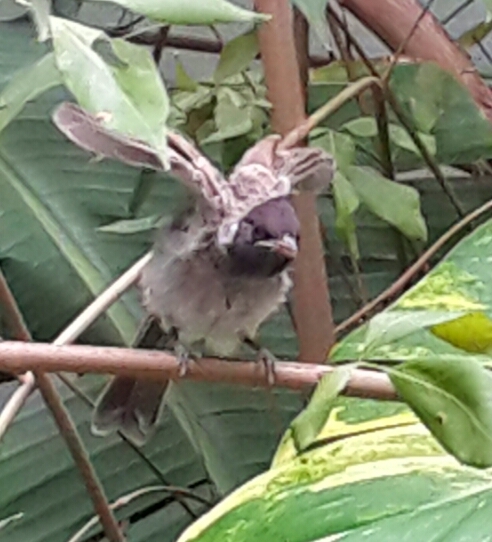 The Single Flowering branch. One glorious branch hung down the tree with Fruit and buds… Fruiting and Budding and Flowering.. all at once..Such a sight to see, it gladdens the heart. The glorious Flower. Very well hidden! Not everyone appreciated my presence.. The fruit, when ripe, falls to the ground. It is very smooth skinned. 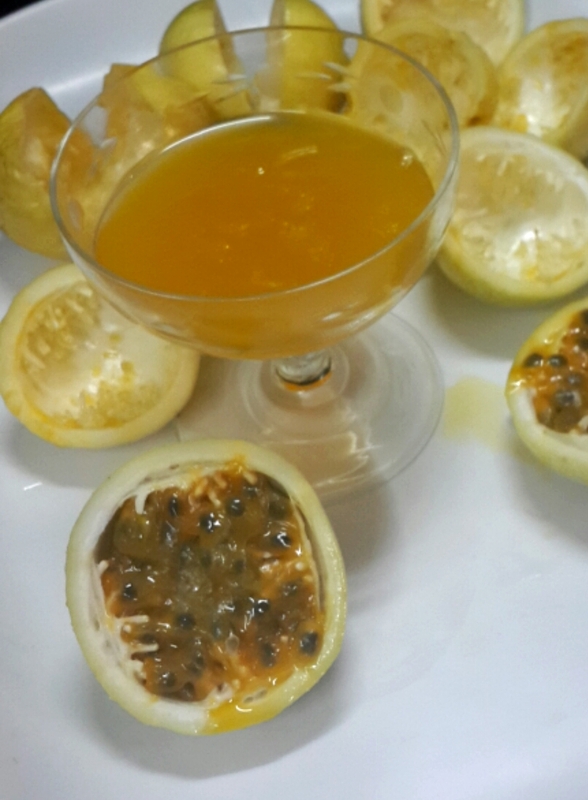 The scent of the passion fruit is so strong that the peel is fragrant!. At one point I thought the peel should be made into a perfume! The beauty of the plant is enough to make that heart-connect, but when the fruit is cut!!Oh! its fragrance, just blows me away. 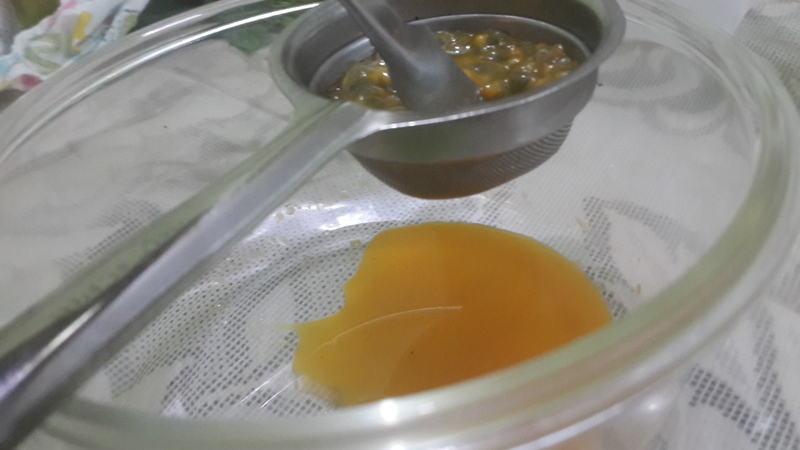 The vary fragrant Golden Pulp of the Passion Fruit. The Entire Plant is such a thing of Beauty- from its leaves, its delicate (but business-like) tendrils, its buds and flowers- all leading up to the sensational fruit drink. With tangy, sour notes, and a heavenly fragrance, the pulp is diluted down and a generous amount of sugar to offset the tartness. The juice is not beautiful for its fragrance alone, but its taste as well- not too sweet like a mango, and not too sour like a lemon. Just satisfying. thoroughly enjoying the time-consuming, labor-intensive satisfaction. It takes days and weeks of care and processing, always keeping it in mind as so many factors can spoil the perfume. After the concrete is done, and it is made into perfume, I evaluate its top notes, its body, its dry down.. 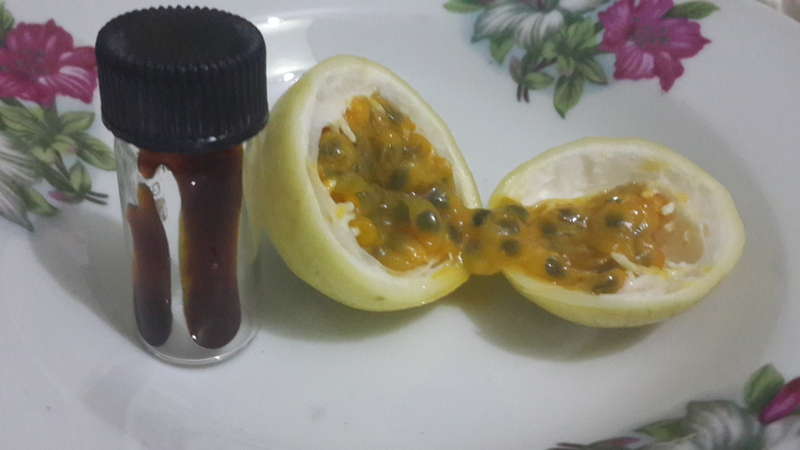 Passion Fruit as a Perfume has very complex Notes. What I first thought were fruity notes, like real mango fruit’s fragrance, and a whisper of lemon fruit- smelling much like the original passion fruit , were only the Top notes.. 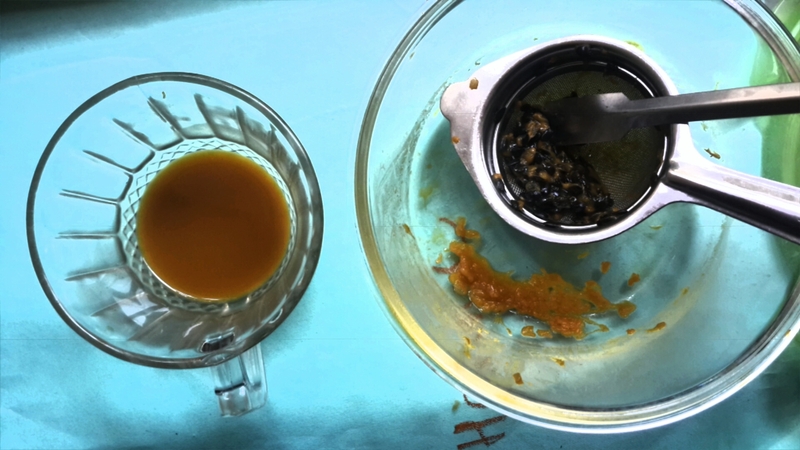 In dilution it turned into quite the animal… a surprising twist..
Top fruity notes drying down to walnutty heart notes with a bit of burnt sugar/caramel lusciousness. No hint of floral notes, just intensely nutty. A rich, mossy, almost leathery back ground.. but soft so soft… think forest floor and Oakmoss in a celestial place. But wondering at the combinations- One part is talking to an aging Vanilla Bean Tincture which is soft and powdery.. and probably wont overpower Passion Fruit. Egyptian Hand-blown Perfume Bottle, Fragile. 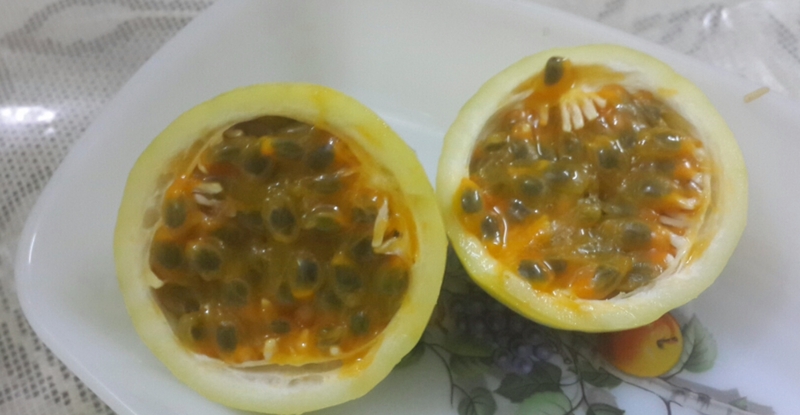 Wow, you have such a beautiful blog, and passion fruit sounds so intriguing!